One of the moost essential things in your life is your automobile. It gets you from one place to another and you depend on it for your livelihood, yourself, and take your family to important places. Your vehicle has monthly costs and you should try and mange those as well as possible. You should purchase a vehicle whose monthly payment you can afford and you should purchase gasoline at places that offer a good price. In terms of car insurance , you should shop around. The price of insurance can vary and you can save lots of money by doing your research. 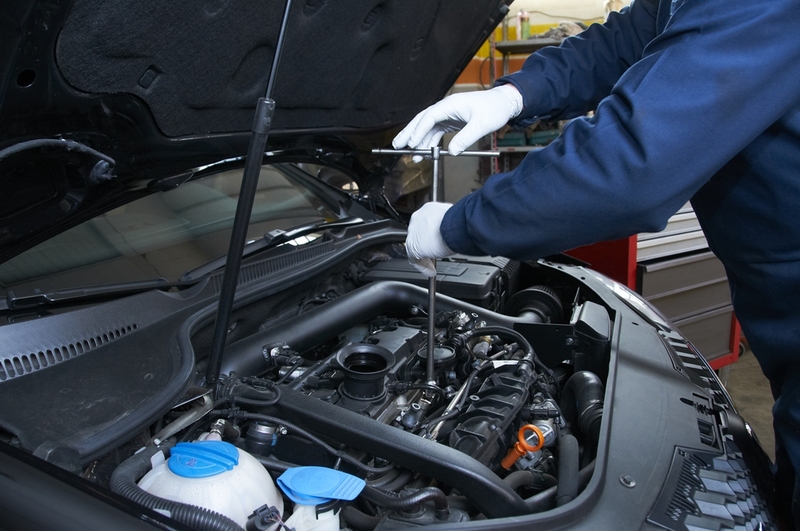 Automobiles also have ongoing maintenance costs. Depending on the type of car you have, these can be very expensive. However not maintaining your car can be even more expensive. Smart car owners scan lower car maintenance costs by learning how to do simple maintenance and repairs. Here a few you can do to help save money. They supply the electric charge to help your pistons move in your engine. When one or more goes bad, you engine will not work properly. Today’ spark plugs last up to 100,000 miles but often they go much sooner than that. You can suspect a bad spark plug if you are having engine misfires, a rough idle, or a problem with acceleration or starting your car. Replacing them is a relatively simple job for most people. You simply need to refer to your car’s owner’s manual for detailed instructions. With a wrench and a little bit of effort, you can get this job done in less than 30 minutes. Your tires are the only contact that your car has with the road and they need to be at the perfect pressure for several good reasons. First when you tires are at the manufacturer’s ideal pressure, they are ideal for driving your specific automobile. If your tires are over or underinflated it can cause your steering to be too heavy or too light causing you to be more accident prone. Ideal tire pressure gives you them the precise amount of rubber on the road. Second, ideal tire pressure gives you the best gas mileage. Your car will roll perfectly with the right tire pressure. Finally correctly inflated tires will last longer. You should check the car manual to find the ideal tire pressure for your tires and it is also on each tire. Some cars today have a sensor that shows up in the car when any of the tires do not have the correct pressure. You can go to nearly any gas station and use their air to inflate your ties. There is an electronic gauge on the air pressure machine that tells you how much air is in your tires. In less than five minutes you will be on your way. One of the most important safety features in your automobile are your windshield wipers. You may not know how valuable they are however until you are caught driving in the pouring rain and they do not work properly. The blades should be changed every year and sooner in places with harsh climates. You can get a set for your car at any automotive store and change them easily within ten minutes. Some people say Jacob Gottlieb is an over-achiever. If you look at his accomplishments, there may be truth in that statement. Gottlieb had a flair for investing while he was in grade school. He won a stock selection content in the 7th grade. He was also one of those kids who wanted to know more about medicine. His mother was a pediatrician. His father was an economics professor, so he also wanted to study economics at Brown University. And when he got a BA in Economics from that institution. he decided to enroll in New York University. Jacob earned a Doctorate Degree in Medicine at NYU. Dr. Gottlieb joined the staff at St. Vincent’s Hospital in New York City, but his medical career at St. Vincent’s was short-lived. Jacob wanted to help people, but he also wanted to work on Wall Street. So in 1998, Gottlieb joined Sanford C. Bernstein & Co, an investment company that focused on healthcare. He cut his investment teeth at Bernstein, but he got a chance to work at the Merlin Biomed Group as a healthcare portfolio manager. Jacob and Merlin weren’t a good fit, so he joined Balyasny Asset Management That moved solidified his position as a successful investment strategist. In 2005, Dr. Gottlieb decided it was time to manage a larger hedge fund, so he founded Visium Asset Management. Visium was his dream job. He was able to build a hedge fund with more than $8 billion in assets under management. Visium Asset Management had 170 employees, and a team of hungry hedge fund partners who wanted to make a name for themselves by playing by their own investment rules. In 2016, the FCC found proof of insider trading, and Visium became another good idea gone bad. Jacob Gottlieb was not part of the inside trading fiasco. He is the only man standing after three partners broke federal regulations. Gottlieb was a victim not a perpetrator in the investment debacle. He is still working at Visium as the CIO even though the firm is now another statistic in the investment industry. The publicity surrounding a federal violation can destroy reputations and careers. But most of the partners at Visium moved on and are still working in the investment industry. Gottlieb believes he has more to give in the hedge fund world, so while he is winding down activities at Visium, he founded a new hedge fund called Altium. Jacob calls his new venture a boutique hedge fund because he deals with small growth companies. Altium is a new venture for Jacob Gottlieb, so he’s busy doing what he did at Visium. But he’s using a different approach in order to assure the firm’s employees play by the book. Starting a new hedge fund isn’t easy, but Gottlieb makes it look easy thanks to his connections in the industry as well as his over-achiever mentality. When he’s not working, Jacob is active in several non-profits in New York City. Gottlieb spends his free time helping the Robin Hood Foundation, Math for America, and the Covenant House. The Robin Hood Foundation helps alleviate poverty in New York City. The Covenant House help kids who are runaways or who are victims of homelessness and trafficking. Math for America recruits and retains high-quality STEM teachers for New York City Schools. Dr. Gottlieb continues to help people live better lives. And he continues to help the healthcare industry evolve in this fast-changing 21st-century. His decision to start Altium is part of his mission in life. Gottlieb doesn’t look back. His mind focuses on the present as he plans for the future. Finding the right way to conduct payments for your business can be tricky, especially since there are so many different options available now. 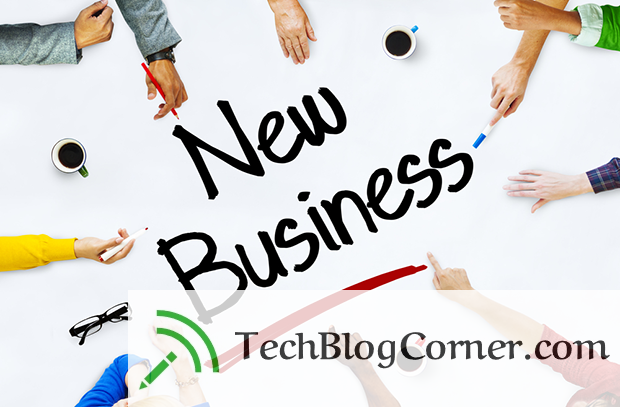 If you are just starting a new business, you might be overwhelmed by what you should use and which you think will serve your clients the best. It can take some research and time, but choosing the right payment method can determine the success of your business. Here’s how you can find the right payment method for your business and for your customers. Do you know the types of customers that would be most interested in what you have to offer them? Who are you likely to see coming through your door and being intrigued by your product or service? Knowing your buyer can help you decide a number of factors when you are beginning to put together your business, but it can also help you decide which payment methods are likely to work the best and if you should have several options available for your customers. What industry your new business is in can determine how you will want payments to be made, how much you want to pay in merchant fees, and whether you will want to have several types available. For large payments, credit cards will probably be necessary, and you might also want to accept checks, as well. If you are running a company that is more localized and the transactions are smaller, then having credit card payments and cash might be enough. It’s worth it to think about the maximum payment a customer might make and whether you are prepared to take it. Anytime you are selling your product or service online, you will need to have a few types of payment methods at hand. Paypal and other online methods can be very helpful, and as more and more people tend to buy goods through ecommerce stores, it can be necessary in order for you to succeed as a business. While most payment will probably still be conducted through a credit card, having that option can also benefit you as a seller when you don’t want to pay as many fees and you want to make it simpler to conduct returns if necessary. Using some payment methods cost more than others, and you will need to take a look at your checkbook to determine what would work best with your business’s expenses. Each company is different, and depending on the cliental and your overall costs, you’ll want to choose methods that end up benefitting you as a business. Take the time to sit down and look at your overall costs and see how you can balance things out appropriately—you want to serve both your customers and your budding company. Choosing the right payment methods for your business is not a cut-and-dry process, and it might change depending on how long you’ve been around and what you expect from your customers in the future. Take the time to really consider what will serve you and which method your clients will feel comfortable using. If you are running a business, there are few things as important as a well-oiled accounting system. Sure, you need to make sales and have great products and services, but you aren’t going to get far if your finances are not under control. Only when you know exactly what money is going out, and exactly what money is coming in, you can truly make the hard decisions that will help your business grow. With this short article, we’d like to provide a few tips on how you can improve your accounting and finance systems. Obviously, the use of these tips will depend on the type of business you run, as well as the system you already have in place. So, read through this list and think about how each tip may be applicable to your operation. Hopefully, you have already done this first one. The world of accounting is not a creative field – rather, it is one which is all about details and efficiency. You need to have a detailed system in place which has everything mapped out from top to bottom. For instance, if you are using fix and flip loans to invest in real estate, you need to have your books completely in order. The employees working in your finance department should not be trying to make things up as they go along – they should simply be executing on the system that you have in place. This is a great tip for many workers, even those outside of the accounting office. As it relates to accounting specifically, working in batches makes a lot of sense. For instance, when one bill comes into the office, it probably isn’t necessary to stop everything else in order to pay that bill. Instead, it should be filed appropriately and paid at a specific time with other bills. By working through all the bills in one batch, your team can be more efficient. Depending on the size of your business, it may make sense to outsource certain functions rather than hiring a full- or part-time employee to do the work. This is often the case when it comes to using a Certified Public Accountant. For small businesses, it probably isn’t necessary to hire a CPA as an employee but outsourcing to one for certain tasks is a nice solution. Don’t let poor financial controls be the undoing of your otherwise promising business. Make sure your accounting department is functioning properly, so you can focus your time and effort on serving your customers with the best possible products and services. One of the most common mistakes first-time entrepreneurs make is the assumption that subject-matter expertise is all you need to build a successful business. Yet, technical knowledge and business sense are two different skill sets. You can be a great lawyer but terrible at actually running a law practice. That being said, you don’t have to be an Ivy League MBA to run a successful law practice. (Check this site:https://battafulkerson.com/practice-areas/car-accident-lawyer/). It’s all about mastering the basics of business management. There’s no better way to do that than developing and adhering to a well-thought-out business plan. The following are some of the key elements to think about when writing a personal injury law practice business plan. If your goal is to set up a law practice, it may seem pretty obvious what problem your business seeks to solve. Nevertheless, write it down including the gaps in the market. Define the geographical area you intend to do business in, the typical profile of your client, and what skills you have to offer. All these are the very foundation of your business. Essentially, this outline should be similar to what you would tell a friend over a casual conversation over dinner. It’s one thing to identify your target market but it’s entirely another to assess it in detail to determine the exact opportunities you can take advantage of. Gather as much data and statistics as is available. As a personal injury lawyer, you’ll certain be keen on the number of road and workplace accidents that take place in the area each year. Find out what is the median income, average education level, the most common occupations, and the proportion of blue collar workers. Pay attention to the competition as well. How many personal injury law practices are there and who is the market leader? Your marketing strategy should start by engaging people in your social circle. That includes family, friends, neighbors and former work colleagues. This is important for two reasons. First, it requires little to no expenditure. Second, these are people who already know you and can therefore vouch for your credibility to third parties. It’s best to reach out to your social circle via a phone call or physical meeting so you can explain your plans in detail. Social media and email should be a last resort since they are more harried and impersonal. Once your social circle is out of the way in terms of marketing, map out your wider target audience and explore marketing techniques that will work best for that audience. That includes both offline and online marketing methods. You have to spend money to make money. There are costs that come with setting up and running any kind of business. A personal injury practice isn’t an exception. The financial plan can determine whether you should go into business or would be better off working for someone else. Start by documenting your personal expenses. At a minimum, the practice should cover your living costs. To avoid missing anything, develop a detailed inventory of your daily, weekly and monthly personal expenditure including leisure, emergency and mortgage costs. Use this to calculate the minimum profit the practice needs to make. Next, examine your business expenses. These will largely be the costs of setting up and operating the office and will typically comprise furniture, equipment, systems, rent, salaries and utilities. Just like your personal expenses, calculate how many personal injury cases you’d need to handle per year to cover these costs. A good business plan will lay the groundwork needed to build a thriving personal injury practice. As long as you carefully think through and execute on the above four elements of a good plan, you’ll be well on your way there. That being said, a business plan shouldn’t be cast in stone. As your knowledge grows and as the market itself evolves, your plans should be flexible enough to evolve too. Starting a new business can be an expensive endeavor, and unless you have plenty of investors or money in your own bank account, you might be looking for ways to save a little extra cash and to mitigate risk. It’s not always easy, but there are ways you can cut down on expenses when you are first starting a business and still give it the runway to be successful. Here are 4 ways you can save some of your hard-earned cash and still open the business of your dreams. While any paid advertising you do on social media can cost more than you might like, building social media pages on your own and developing a community is free. It can take a considerable amount of time and research in order to know that you’re reaching the right people, but the rewards can be extremely beneficial to a brand-new business looking to find new cliental. You’ll want to determine which platform is likely to attract the most clients and which you feel will target the buyers you want looking into your product or service. Networking isn’t just for those looking to get a promotion. Word-of-mouth is still the best way to spread awareness of a business and to encourage new clients to check out what you’re doing. When you’re looking at businesses for sale in Los Angeles, then you’ll want to make sure that there’s a community there who would be interested in what you have to offer. Networking can give you an idea of the best way to reach the right people, what they are looking for, and how you can brand your business in order to create interest. As more and more marketing moves online, your website is going to be crucial to developing the audience you need. While you might have the initial investment of paying for a quality design, the rest is up to you. Establishing yourself as an authority in your industry can be rather easy when you already have a platform in place. Blogging is free, and it can go a long way toward creating customer trust. Take a deep look at where you can establish yourself as an expert on your site and offer to share your knowledge with other publications, as well. While it might seem essential to run ads on Google, there are a number of different ways you can utilize the tools given to you without spending money. Analytics can tell you a lot about who is coming to your website and if you are on track with your demographics, or whether you need to change your branding strategy. You can also take a look at the various keywords that might serve you and bring the right kinds of buyers in without paying a dime. Just as in traditional advertising, you want to be positive you’re reaching the right people—and the good news is that you don’t have to pay money for this information. A new business can be a big financial investment, but it doesn’t have to take up all of your resources. There are plenty of things you can do with little to no money that can help your new business get off the ground.